Our troupe of belly dancers have trained together for years to perform stunning stage choreographies and improvised walkabouts at events both in the UK and worldwide. They have performed for Gordon Ramsay, Alan Titchmarsh, Kasabian, Akon, Nick Cave, Skepta, Simon Cowell, Ant & Dec, multiple TV channels, Google, Microsoft, members of the British Royal Family and the United Arab Emirates Royal family. 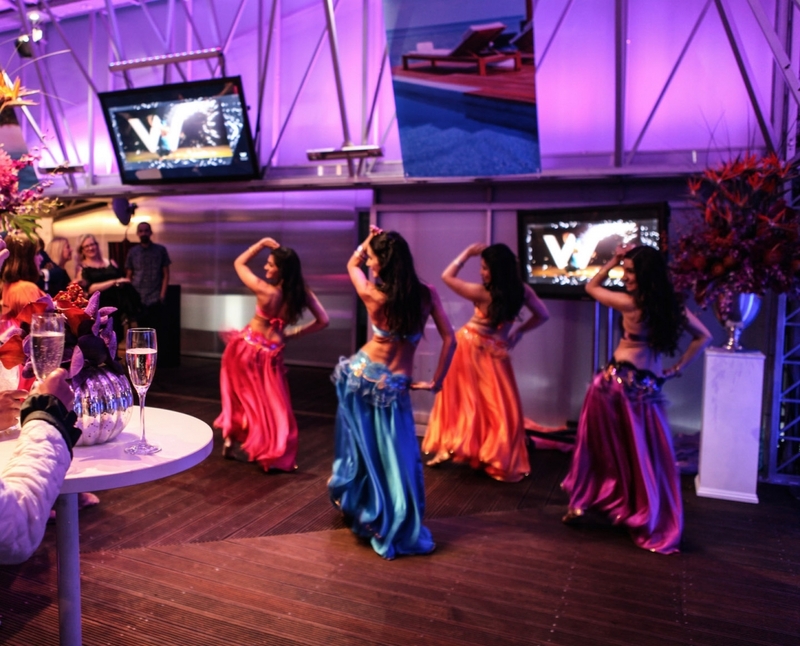 They have belly danced at The Ritz, The Dorchester, Claridge’s, The Savoy, Victoria & Albert Museum, The British Museum, The Langham, National Theatre, Merchant Taylor’s Hall, The Hurlingham Club, Hampton Court Palace, and many more.